Henri Philippe Benoni Omer Joseph Pétain (24 April 1856 – 23 July 1951), generally known as Philippe Pétain, Marshal Pétain (Maréchal Pétain or The Lion of Verdun), was a French general who reached the distinction of Marshal of France, and was later Chief of State of Vichy France (Chef de l'État Français), from 1940 to 1944. Neither Germany nor Italy have doubts. Our crisis is not a material crisis. We have lost faith in our destiny...We are like mariners without a pilot. My country has been beaten and they are calling me back to make peace and sign an armistice...This is the work of 30 years of Marxism. They're calling me back to take charge of the nation. "The earth, it does not lie". La terre, elle, ne ment pas [The earth, it does not lie]. The only wealth you possess is your labour...France will become again what she should never have ceased to be—an essentially agricultural nation. Like the giant of mythology, she will recover all her strength by contact with the soil. Remember that France has always had two strings in its bow. 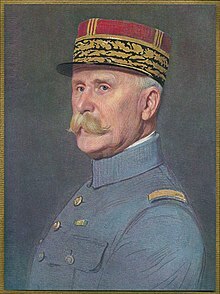 In June 1940 it needed the Pétain "string" as much as the de Gaulle "string". Alleged remark by Charles de Gaulle in December 1946 to Colonel Rémy, quoted in Henry Rousso, The Vichy Syndrome. History and Memory in France since 1944 (Cambridge, Mass. : Harvard University Press, 1991), p. 34. Nickname from the Vichy years, quoted in Amy S. Wyngaard, From Savage to Citizen: The Invention of the Peasant in the French Enlightenment (University of Delaware Press, 2004), p. 194 and Michael Tracy, Government and Agriculture in Western Europe, 1880–1988 (London: Harvester Wheatsheaf, 1989), p. 215.